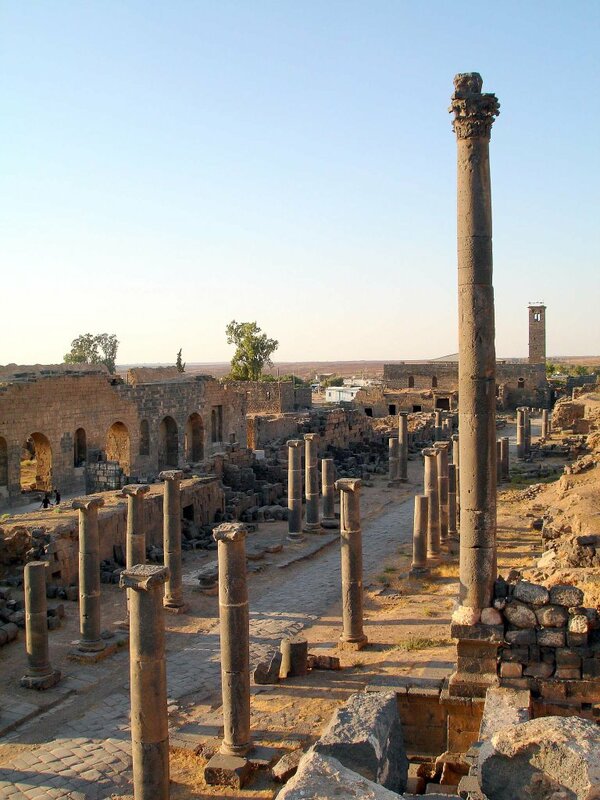 the city, met the young Muhammad when his caravan stopped at Bosra, and predicted his prophetic vocation and the faith he was going to initiate. 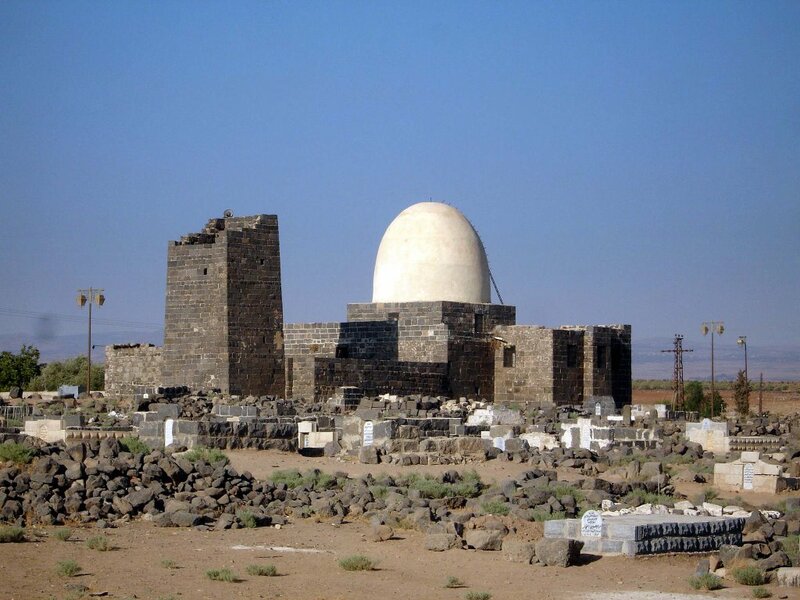 The oldest Islamic square minarets (still standing) are found in Bosra, whose prosperous role as an important halt for pilgrims on the way to Mecca lasted until the 17th century. 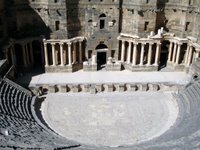 The most interesting part of the city today is the famous Roman theatre built in the second century A.D., which seats 15 thousand spectators, and is considered one of the most beautiful and well-preserved of Roman amphitheatres in the world. 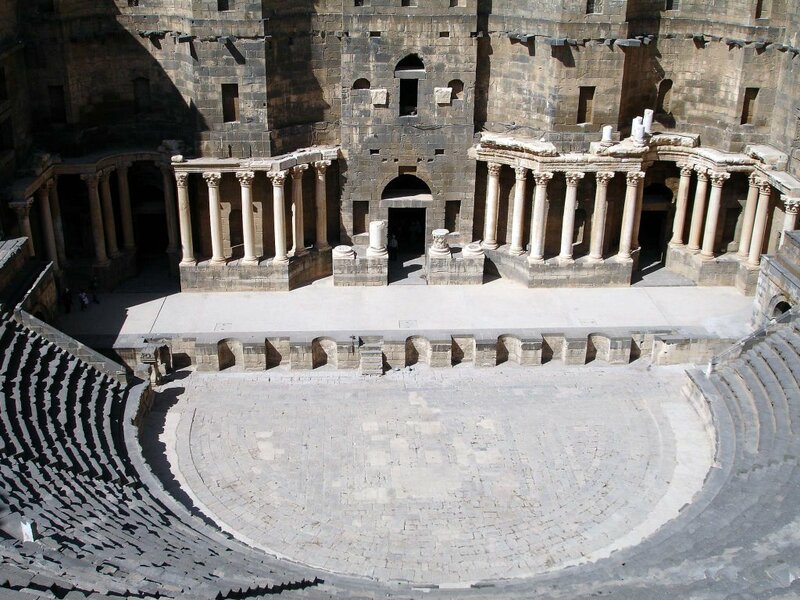 The stage is 45 meters long and 8 meters deep. 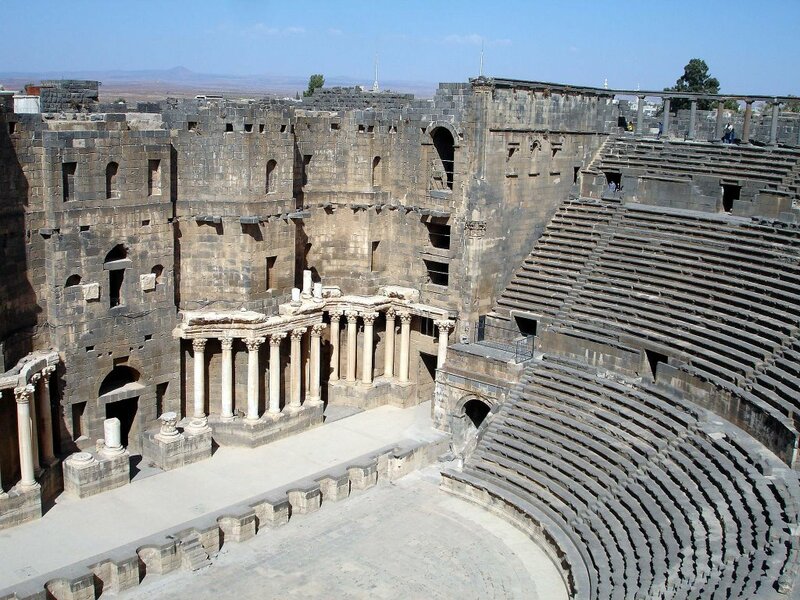 Every summer, it hosts Arab and international performers who entertain audiences during the Bosra Art Festival against a majestic background of Roman columns and arches. 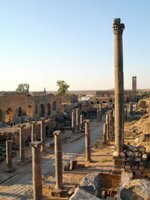 The city itself contains a great number of Roman ruins, a part of the Byzantine Bahira Church, as well as the al-Mabrak Mosque, which is said to have been erected on the site where the Prophet's camel stopped to rest. 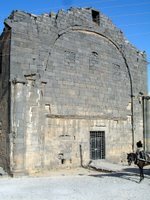 There is also the Omar Mosque(also called the al-Arouss Mosque), which is the only one of its type remaining from the early days of Islam, and it retains its 7th century primitive form. 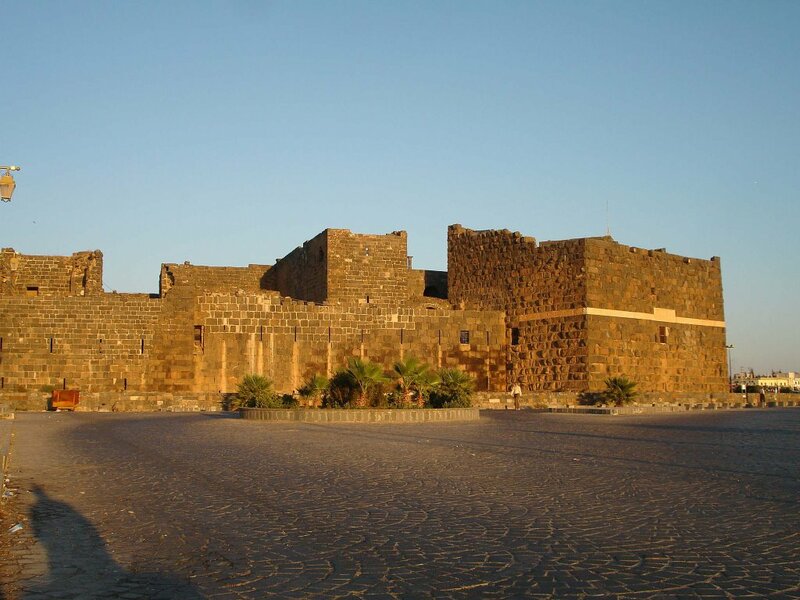 An important Muslim citadel, dating back to the Ayoubite and Mamluk period still stands, and one of its towers now houses a museum of Antiquities and Traditional Arts. Thank you Ghalia for the valuable information. Take care. I hope to hear from you soon again! 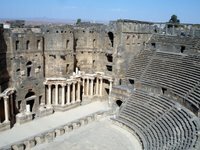 the next time i am in syria, i should visit some of the places you post about .. 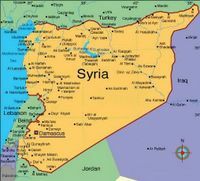 I wish you al the best of luck, and hope to see you again here in Syria:). SORRYYYY .. I am LATE - but better late than never, right? I always learn something from your blog and I like that a lot! Being an archaeology-lover, that does very much look like my kind of place!! Thanks so much Ghalia ... I miss you BTW!! How's your brother doing? Say HI for me!! Hi Amr:), yes I did, like them? I Do, what is your camera like? Digital SLR? It's just very normal not a proffesional one! wow, you are surely maximizing its capabilities. I HAVE JUST DECIDED TO TAG YOU!! I was fascinated by your pictures od Bosra. They reminded me very much of Mérida in Extremadura. We went there last October, and enjoyed it very much. Mérida (as I recall) was founded by the Romans, but contains Visigothic and Moorish architecture as well, making it a fascinating place. As usual, a most delightful post, and a set of most beautiful pictures.. Thank you Ghalia, and God bless you. 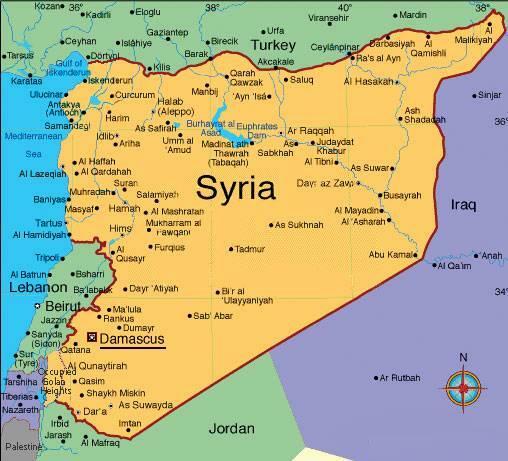 very nice post..Syria is so Beautiful..